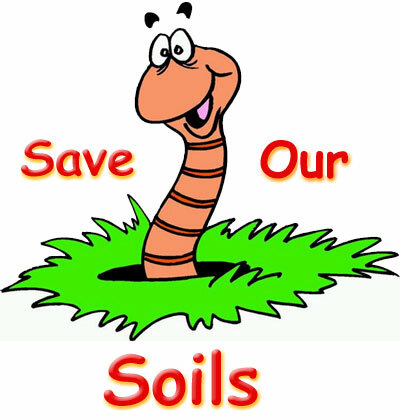 There is an enormous hurdle to the sustainable use of our arable lands, whether for energy crops, food production or even reforestation: our agricultural activity over the last half-century has significantly reduced soil fertility. Before being cultivated, these lands had been self-sustaining, closed-cycle ecosystems for millions of years. The nutrients that vegetation extracted from the soil were returned to it through the decay of dead branches, leaves and fruit. CO2 from the atmosphere was incorporated into plant tissue, and this carbon was transferred to the soil through plant decay – soil humus levels were built up. When these natural ecosystems were destroyed to make room for agriculture, these cycles were interrupted. However, until the 1950’s, farmers tried to duplicate these natural cycles, by adding carbon and multi-mineral-rich organic material (compost, guano) to the land they cultivated, as a replacement for what they were removing as crops. Only the desired plant part was removed from the field, the rest of the plant was re-incorporated into the soil. 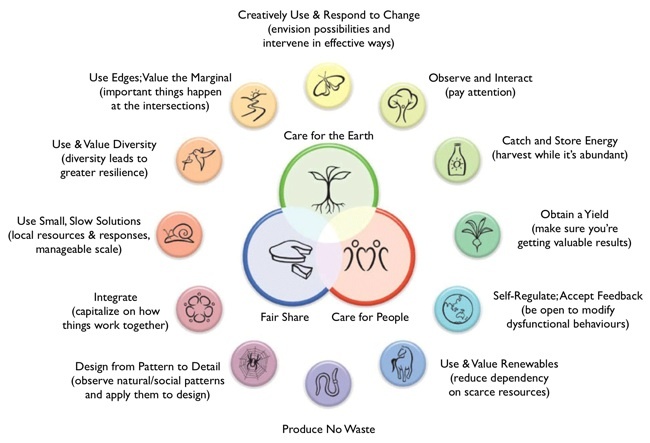 Permaculture is the art and science of designing sustainable human communities that utilise integrated farming practices based on the principles learned from the study of natural ecosystems. Its key objectives are to bring food production closer to consumers, to restore soil fertility, and to cultivate land in ways that maximise long term productivity, while minimising artificial inputs and effort. Small-scale, land and energy-efficient, multi-crop systems replace large-scale, energy-consuming, extensive mono-crop ones. This approach avoids and reverses the enormous problems caused by modern industrial agriculture, such as habitat and species loss, soil degradation, erosion and salinity, as well as the unnecessary economic and environmental costs of transporting food over large distances.